As the tagline to a certain 1990s TV show goes, “if you want to live in the zip, you’ve got to live by the code” and last night, at his A/W18 show in New York, Tom Ford served up his own imagining of America’s most famous address, Beverly Hills 90210. The designer might have moved to Los Angeles just last year, relocating from his adopted home of London, but this collection reminisced on a different era in the Californian city’s history – the 1980s, and the rich girls who ruled the neighbourhood’s streets. These were women who looked to Europe for their fashions, to the catwalks of Milan and the intoxicating glamour of designers like Gianni Versace, a man at that time positing a new take on the gilded swirls of Italian baroque, rendering them in sequins and animal print in clothes which clung to the body and emphasised its form. For A/W18, Ford worked in a similar vein, piecing together vivid blocks of sequins and coloured animal print into a riotous patchwork, like those of Dutch designer Koos Van Den Akker, or even Stephen Sprouse. The commitment to excess was hammered home with slick lamé leggings in silver or python, dangling chain handbags and giant hooped earrings, teasing vulgarity but never quite hitting it. Midway through, Ford sent down the catwalk a sequinned sweater bearing the words, spelled out in crystals, ‘Tom Ford Beverly Hills’. It was a wink to his own store on Rodeo Drive, but also a homage, in its swirling font, to the signage of an ex-resident of the famed shopping street, Giorgio Beverly Hills. That boutique, which was conceived in the 1960s and clothed the women of the neighbourhood in the designers of both that era and the eras which followed – chiffon gowns courtesy of Halston, Giorgio di Sant’Angelo’s gypsy-inspired ruffles, the Diane Von Furstenberg wrap dress – drew in clients who would spend tens of thousands of dollars in fell swoop, often demanding an extra limo for the journey home to accommodate all of their purchases. You’ve probably encountered the store, even if you think you haven’t – a Hollywood mainstay, it has provided the backdrop for many a silver screen shopping spree. 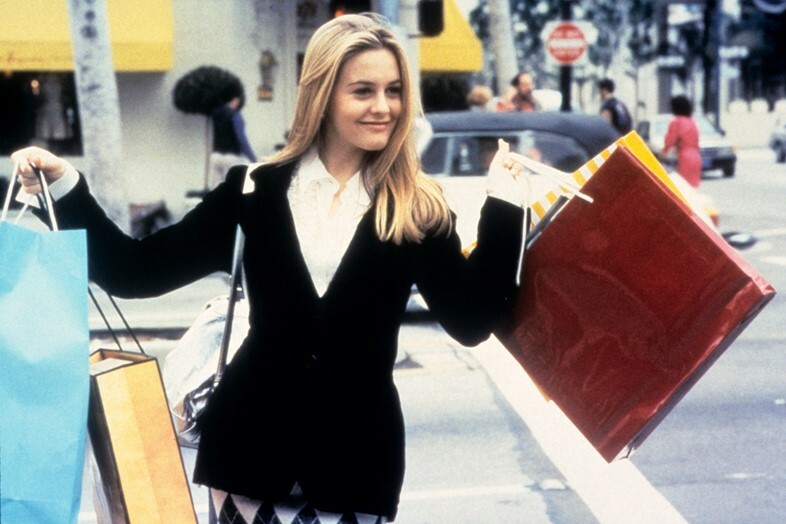 As Vivian Ward in Pretty Woman, Julia Roberts flexes her new credit card there in peace (the “big mistake – big, huge” boutique where she is cold-shouldered is just down the street, Giorgio was renowned for impeccable service), while Alicia Silverstone as Cher in Clueless swings a yellow and white striped Giorgio shopping bag after one particularly taxing afternoon of shopping. You might even recognise its striped fragrance bottle, a spin-off from the store, which went on to make over $100 million dollars and is still licensed through Avon and available today. Once inside, those customers were treated to the sounds of rock music, piped through a speaker system (a rare occurrence at the time), a pool table, a bar, an espresso machine and, if it all got a bit much, Fred himself would take the purchases personally to his treasured clients in the back of his Rolls Royce. That so-called “Giorgio Experience” was part of the reason that he achieved such a loyal following – from Greta Garbo to Princess Grace, Barbra Streisand to Elizabeth Taylor, the most famous women in the world kept his store in business. 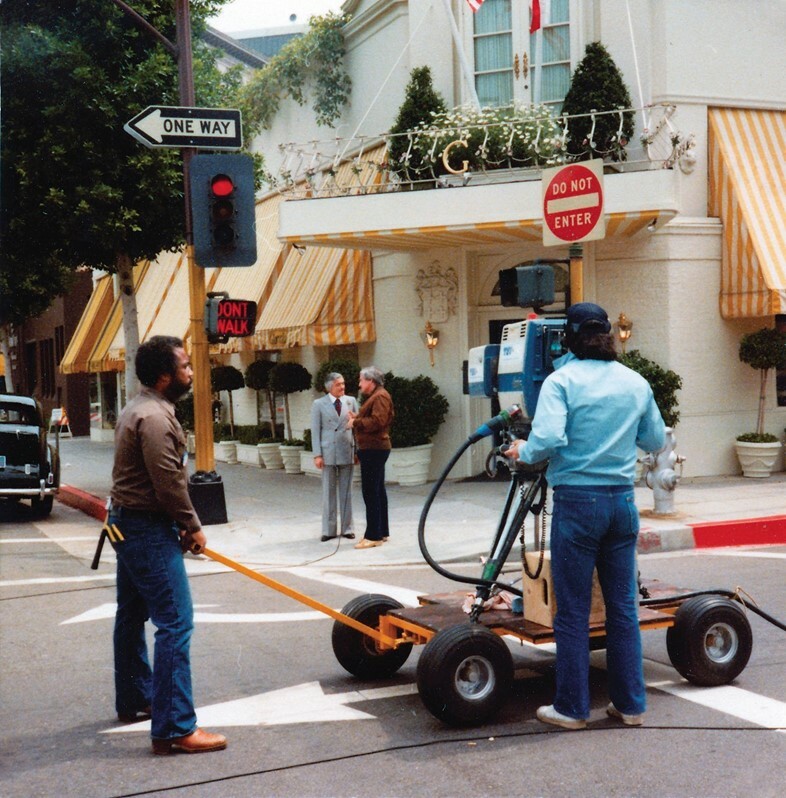 Giorgio Beverly Hills may no longer exist – the space it once occupied is now home to Louis Vuitton – but without it, Rodeo Drive would not be the gilded temple of Hollywood consumerism that it is now. In 1968, Gucci followed Giorgio and opened on the strip, in the 1970s Van Cleef & Arpels and Hermès followed. Now, almost every European fashion house has an outpost there. It’s why, even after he passed away in 2016, aged 90, Fred Hayman’s adopted title ‘the godfather of Rodeo Drive’ stands true.